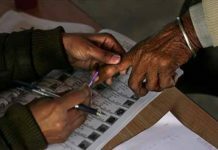 New Delhi, Jan 24: Rejecting the demand of major opposition parties, the Election Commission on Thursday ruled out going back to the era of ballot papers and asserted it cannot be “bullied or coerced” into discarding the Electronic Voting Machines (EVMs) and VVPATs. “We are going to keep on using EVMs. We are going to keep on using VVPATs (Voter Verifiable Paper Audit Trail). We are open to any kind of criticism and feedback from any stakeholder, including the political parties. They are the biggest stakeholders. “But at the same time, we are not going to be intimidated or bullied or pressurised or coerced into now giving up these and start the era of ballot boxes,” Chief Election Commissioner Sunil Arora said while inaugurating an international conference here on “Making Our Elections Inclusive and Accessible”. “I would like to again make it very clear that we are not going back to the era of ballot papers. We are not going back to that era where we have ballot papers being lifted, muscle men being employed, besides the delay in counting and also too much harassment of polling staff on the ground,” he said. The event that was attended by heads and dignitaries from six election management bodies of Bangladesh, Bhutan, Kazakhstan, the Maldives, Russia and Sri Lanka and three international organisations — Malaysian Commonwealth Study Centre, UK and International Institute for Democracy and Electoral Assistance and International Centre for Parliamentary Studies. Questioning political parties on why they embrace the EVMs if the result is favourable to them and crying foul if it is against, he asked why they were turning the issue of EVMs into a “motivated slugfest”. “My simple question is that if the result is ‘X’, (they say) EVMs are right; and if the result turns out to be ‘Y’, EVMs are faulty. Why have we made a machine, that too manufactured under highly secured conditions by the two PSUs who are doing a lot of work for defence establishments of our country? 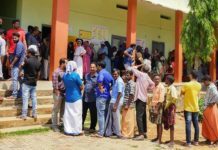 Why have we made it like football and are doing a motivated slugfest over it,” he told political parties which have been raising doubts over the EVMs. The Chief Election Commissioner’s remarks come amid demands from several opposition parties to scrap the EVMs and a return to ballot papers. The demand was also raised at a mega rally organised by Trinamool Congress chief Mamata Banerjee in Kolkata in which 23 political parties, including the Congress, Samajwadi Party (SP), Bahujan Samaj Party (BSP) and DMK took part. 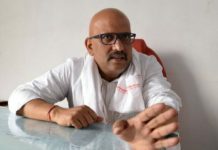 The parties also decided to form a four-member committee comprising Akhilesh Yadav (SP), Satish Chandra Mishra (BSP), Abhishek Singhvi (Congress) and Arivind Kejriwal (AAP) to take up the issue of ballot papers with the Election Commission. The controversy over EVMs took a new turn earlier this week when a US-based self-claimed cyber expert Syed Shuja claimed that the 2014 elections were rigged and the EVMs can be hacked, a charge rejected by the EC which asked the Delhi Police to file an FIR against Shuja.